Fund “FotoDepartament” announces about exhibition of the winter project “Young Photography” 2012, which opens at the Center for Art and Music on Nevsky, 20 before the New Year! 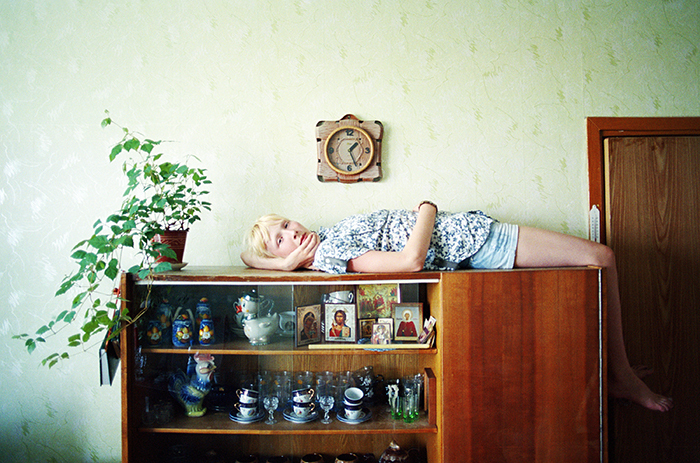 “The Young Photography 2012” is the project which allows young photographers from all over Russia to submit their work online in order to be seen and luckily picked by the jury of 5 curators, all professionals in their field. Using votes of the curators, an exhibition of the second, winter, season of the project will be made. It will take place in Saint-Petersburg, at the Centre of Art and Music on Nevsky, 20 since 29 December 2012 till 20 January 2013. This season will be full of experiments. Starting this year, we accept not only art and documentary photography, but multimedia, books and installation works as well. For the first time, apart from judging the projects, curators will be able to make their own research of the field of Russian photography and to propose the photographers they’ve seen on the web, at other exhibitions, in publications etc. This is done in order to expand the field of study and to make the exhibition even more unpredictable and experimental. We are offering young photographers within the framework of the theme ‘Reality/Decorations’ to think of how the photography as the closest to what we see tool can show detailed and abstract things such as memory, identity, time, aging, changes (in different spheres – from the private life to the society), plurality, routine and so on. And to choose their own method of work – to take as a basis the production of reality or to build their own worlds. One more way for thinking over the suggested theme can be projects, which reveal some present processes, reality from different sides, in other words, which are concentrated on the spaces everyone lives in – in some place where we can be the only kings or in the world that is supervised by someone else. We are waiting for you at the opening of the exhibition 29 December 2012 , where you will be able to see not only photos but you could discuss works with the authors, and congratulate each other with Happy New Year!